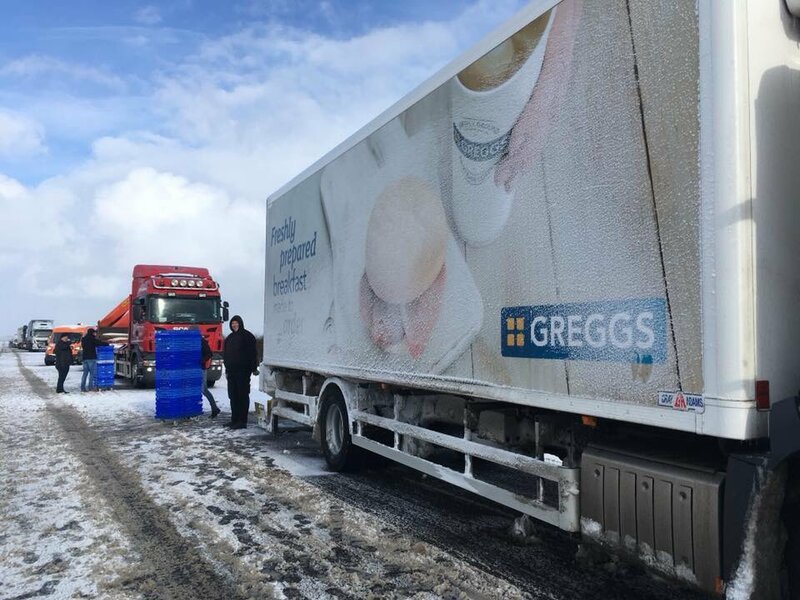 A Greggs delivery driver handed out food to drivers stuck in the snow as Storm Emma battered the UK. 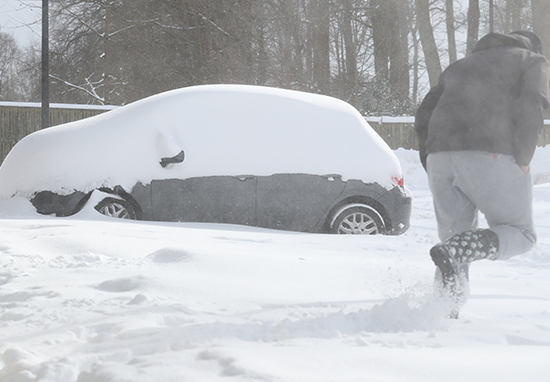 The driver, Jon Gowing, was on hand to dish out cakes to those stuck in the snow up in Northumberland. Drivers had no other choice but to leave their cars on the A1 near Holy Island when road conditions became too poor to drive in. Matt Bowman of the indie band Pigeon Detectives posted photos of John doing his good deed on Twitter. 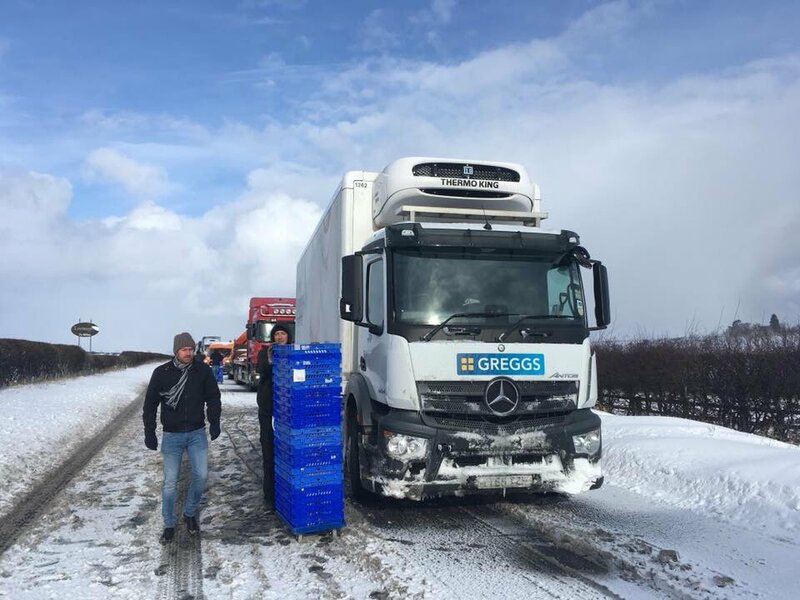 Round of applause required for the GreggsOfficial delivery driver that sorted out free cakes for my mate and all the other poor b*ggers stuck in snow on the A1 today. His mate, along with the band’s guitar technician, Les Goff, had turned around to head back to Leeds after giving up en route to Edinburgh. We got stuck and just sat in the car for a couple of hours and then I decided to walk for a couple of miles and see what was going on or if anyone needed any help. I came across a Greggs truck and when I got around the back there was a guy standing on the tail lift who asked me if I wanted a cake. Then he handed me a few boxes and he headed one way up the road and I went the other way knocking on windows and handing them out. People were over the moon and the delivery driver was absolutely brilliant – they get a lot of stick for not turning up in the snow but he made people’s days a bit better. We are incredibly proud of Jon and his act of kindness in what must have been a very tough situation for him and all the other poor people stuck on the A1 in this cold weather. We hope his kind gesture was able to help make everyone’s day a little bit better. Well done again Jon – a shining example of how we do things at Greggs. Matt, not one to mess about jokingly asked is he could have a ‘lifetime supply’ of cheese and onion pasties. …and please could I have a life time supply of cheese and onion pasties for this priceless PR opportunity I’ve just dropped on your laps… seriously though, bravo to the driver involved!